SICO® Eurobed™ Side-Fold Wallbeds are the ideal choice for cramped spaces, small rooms or when low ceiling heights or soffits present a problem. 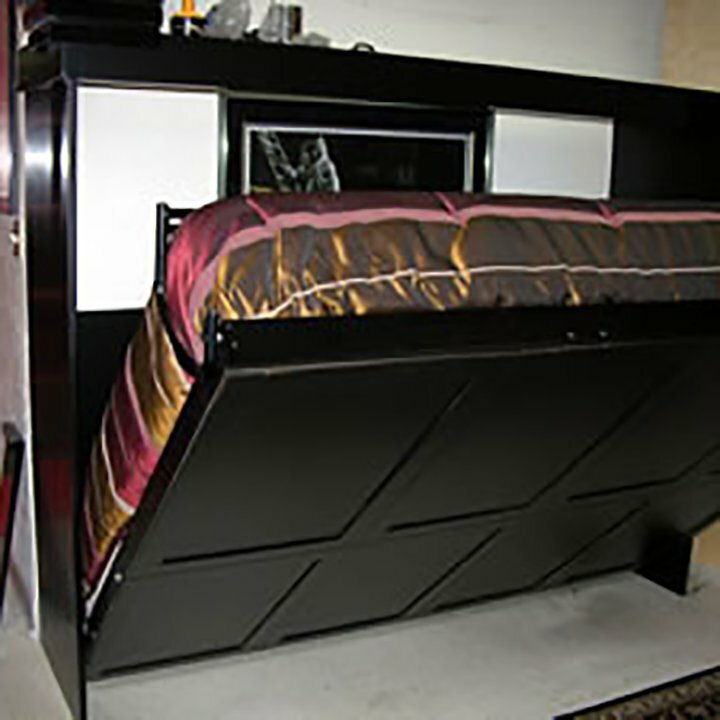 The bed folds horizontally and can be mounted on a wall or floor, making it a smart option for dormitories or basements. SICO® is the preferred wallbed for major hotel chains, timeshare properties and residential applications around the world. Why? Better technology. For example, the SICO® Eurobed™ is equipped with 2 micro-adjustable calibrated spring mechanisms that allow for precise tension adjustments and up to nine heavy-duty helical springs in each lifting mechanism. 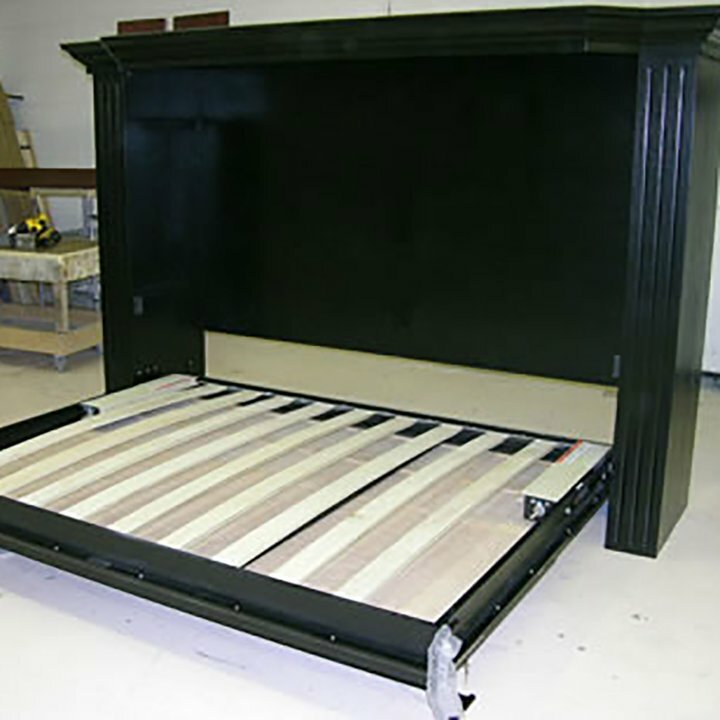 Other wallbed systems have small springs that stretch and fatigue over time. But our system makes it easy to raise or lower any size bed with the touch of a finger! This model features a conventional innerspring mattress with a European-style arched steam-bent, slat system that adjusts to the body's contours — making it the perfect replacement for uncomfortable sofa beds. The SICO® Eurobed™ is our most space-efficient model because the bed in the down position is recessed 10" inside the bed cabinet and can be installed in an 18" deep recess. It takes up less floor space than a conventional bed, is a great choice for smaller spaces and can be used with either quality bedding from SICO®, or the innerspring mattress of your choice.